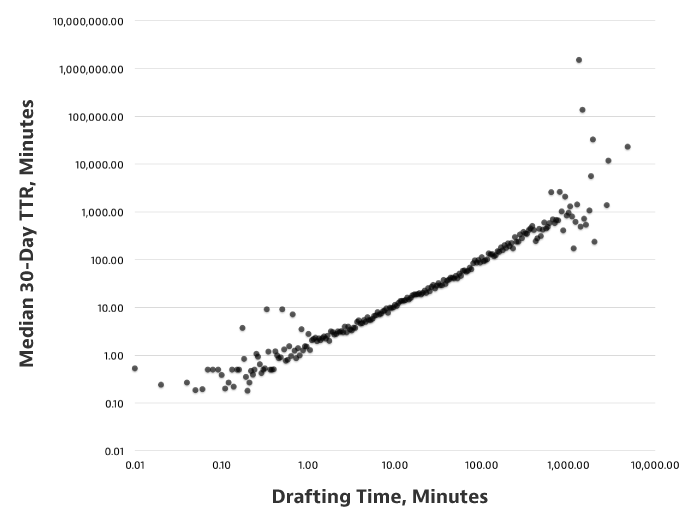 Doubling the time spent drafting corresponds to an 89% increase in Total Time Read. The data is much clearer now (again, cropping the axes), but the variance still produces a fuzzy, blob-like shape that is hard to interpret. Similar to the method I used for the optimal post length analysis, I bucketed the stories in equal increments and calculated the medians. The median serves as a better middle-value than the average because it isn’t skewed upward by the high-end edge cases. Manually-drawn blue line to show the linear trend. 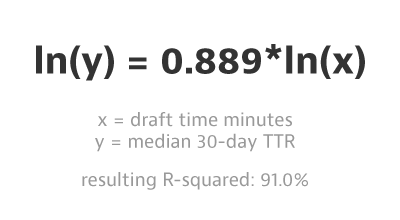 We can interpret this by saying, “an 88.9% increase in x (draft time minutes) corresponds to a 100% increase in y (median 30-day TTR).” And there we have it — stories that take longer to write tend to see more TTR. Well, maybe it is. We hope that when authors spend more time writing, they end up with stories that are more engaging, resulting in more TTR. 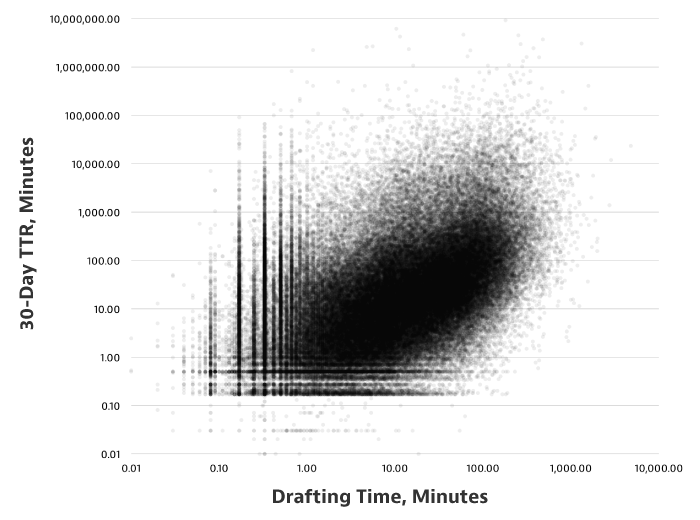 When authors spend more time writing, they might also feel more invested in the finished product. That might lead them to more actively share and distribute the story, resulting in more TTR. 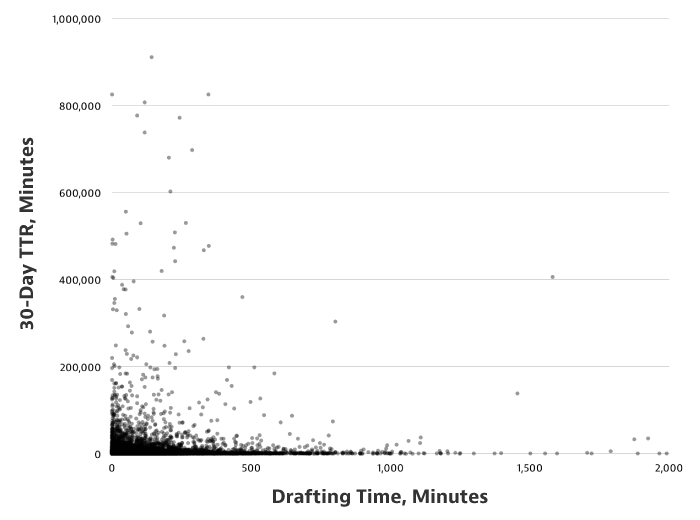 Longer stories take longer to write, and they also tend to see more TTR. So we might just be seeing the positive correlation between total TTR and story length (but, of course, only up to 7 minutes!). There are probably more possible explanations too. Please let me know if you think of any! As with most analyses, I ended up with more questions than when I began—we’ll just have to keep digging in. Thanks to Nick Santos and Pete Davies.